Dear friends of the Plewes family .... a memorial service will be held this Wednesday .... it will be special time set aside to honor and celebrate the life of Yvonne Plewes. The service will be held June 18th at 3:00 PM at Saint Gregory's Episcopal Church located at 100 NE Mizner Boulevard, Boca Raton FL 33429 ... (561) 395-8285. The family invites you to share in the celebration of her life ... and they thank you all for your kind thoughts and concern. 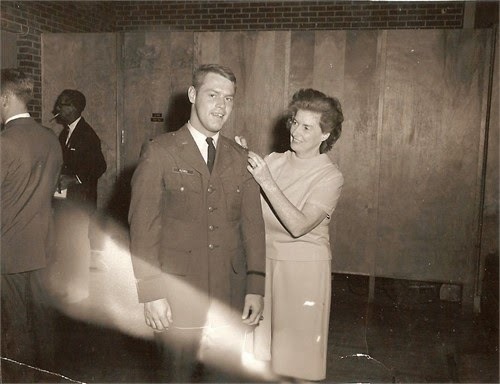 As noted in Yvonne’s obituary: “Yvonne wished no viewing but there will be a celebration of her wonderful life some time in the future at Arlington National Cemetery in Washington, D.C. with full military honors. Stanley has been at Arlington for many years.” Celebration of Yvonne’s life will perhaps be held next spring during cherry blossom time...time and date to be advised. Yvonne was born July 17th 1917 in New Zealand. Yvonne had two Brothers and a large extended Family. What a life Yvonne had! She literally went from the horse and buggy stage to her own personal computer with TV, WWII, the atomic and spaces ages experienced in between. Yvonne first met Stanley Plewes in the late 1930s. Stanley was wounded in the Pacific theater during WWII. 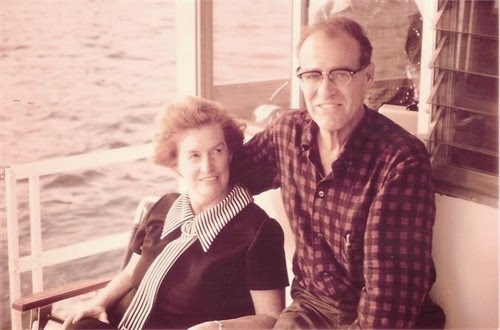 While Stanley was hospitalized in New Zealand Yvonne was reunited with Stanley and their eternal love matured. They married in New Plymouth NZ after VE day and before the end of WWII when Stanley was relieved after 4 years of brutal duty. Yvonne came to America after VJ day and began a rich new part of her life. Yvonne had three children, three Granddaughters one Great-granddaughter, all alive today. Yvonne's life was rich with friends, Family, the DBE (Daughters of the British Empire) Saint Gregory's Episcopal Church (a member of the altar guild for several years) and travel. Yvonne went with her children and friends to Europe, Africa, Australia, New Zealand, Asia, and places too many to mention. Yvonne died a painless death surrounded by loved ones this June 12th at 5:50 PM. Yvonne was a caring person, a great soul who had an abiding faith in God. In lieu of Flowers please send a donation to Saint Gregory's Episcopal Church, P.O. Box 1503, Boca Raton, FL 33429. A service will be held this Wednesday the 18th of June 3 PM at Saint Gregory's 100 NE Mizner Blvd, Boca Raton, FL 33429 (561) 395-8285. Yvonne wished no viewing but there will be a celebration of her wonderful life some time in the future at Arlington National Cemetery in Washington, D.C. with full military honors. Stanley has been at Arlington for many years. If the schedule permits the honor of her service will occur about the end of March or the beginning of April 2015 when the cherry trees are in bloom. Yvonne would have liked that. Exact details will be provided in the future. Events will include a dinner after the service (hopefully at the Old Ebbit Grill) and rooms at the Washington Hotel for those that want to stay the night.